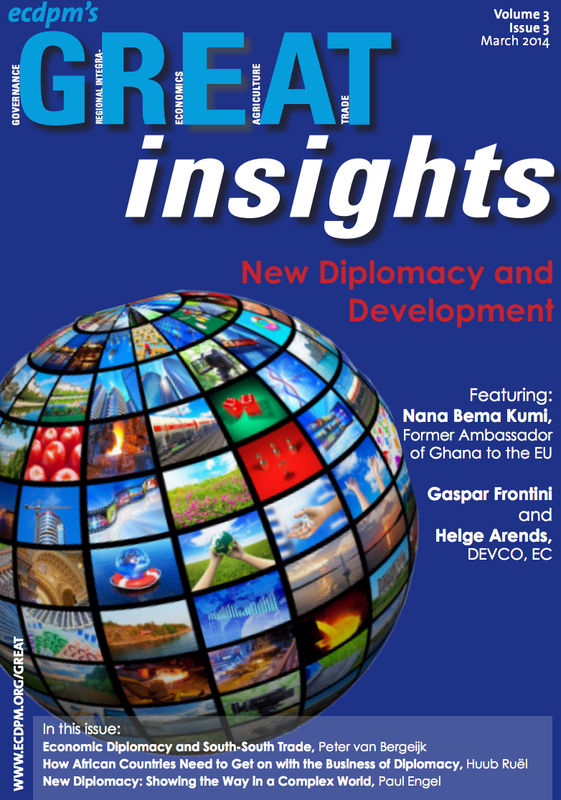 Great Insights, ECDPM’s quarterly magazine, offers its readers a quick and accessible summary of cutting-edge analysis on international cooperation and Europe-Africa relations. 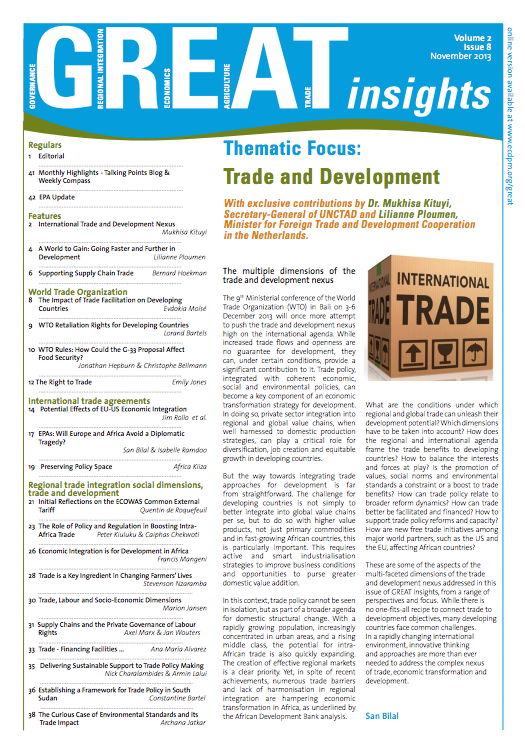 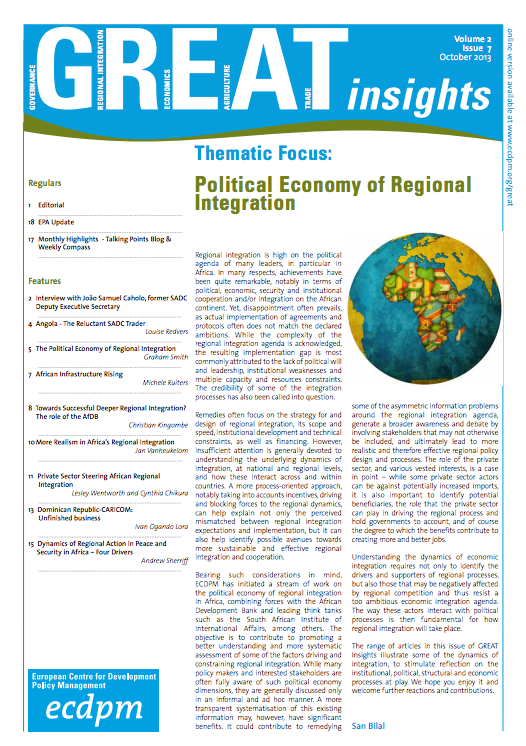 The magazine includes an independent overview of analysis and commentary from a wide variety of experts and high-level officials and provides updates on policy debates in Africa and Europe. 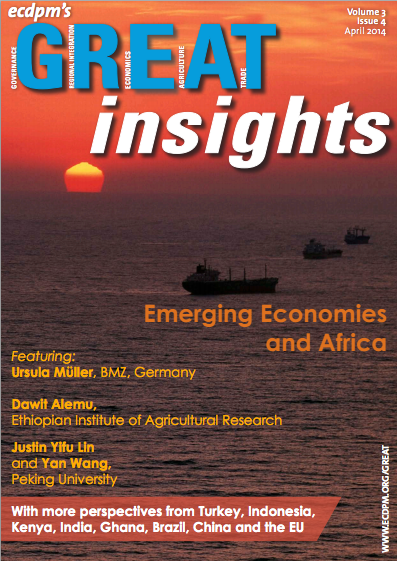 It reaches over 10,000 readers in Africa, Europe and beyond. 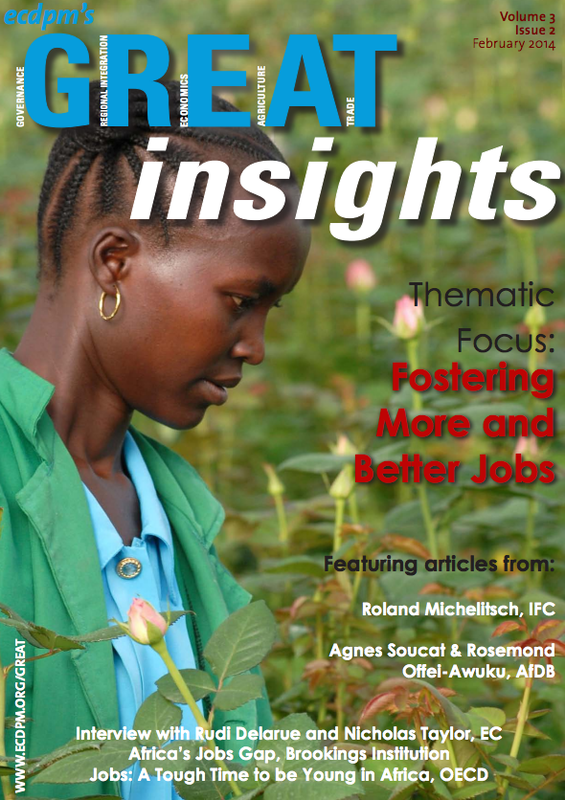 Every magazine issue is available on our website via ecpdm.org/great-insights. 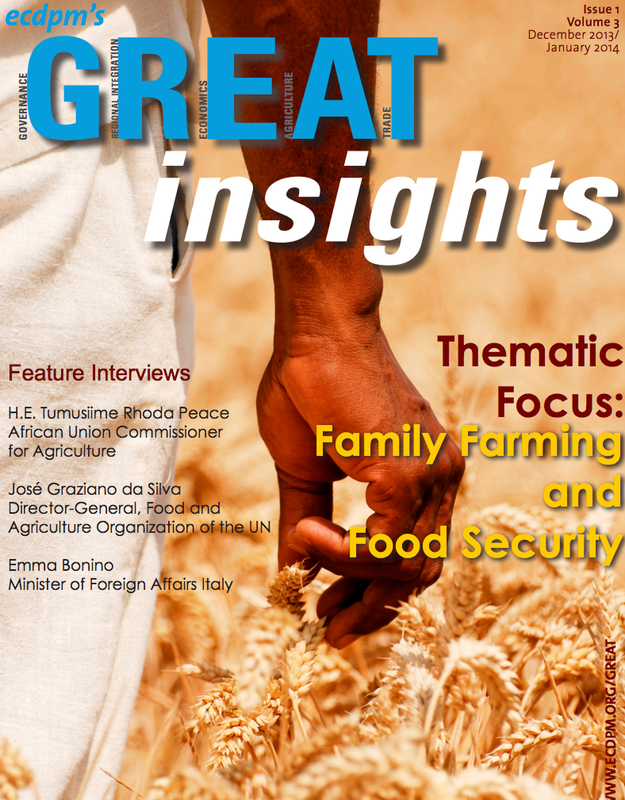 If you wish to receive the issues in your inbox, you can subscribe here.